Police in Scarborough are appealing for the public's help in tracing a wanted man who was recently released from prison. 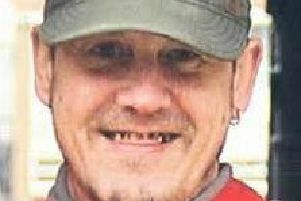 Stephen Queen, 44, of no fixed abode, has failed to attend meetings with the Probation Service in Scarborough following his early release from prison on July 8. He had been serving a three-year sentence for burglaries at hotels in Whitby and Scarborough. A warrant was issued for his arrest and recall to prison after he failed to abide by the conditions of his prison release licence. Queen has links in the Blackpool area of Lancashire. He is described as white, 5ft 4in tall, short grey hair and medium build. Anyone with information that could help to locate Stephen Queen is urged to contact North Yorkshire Police on 101, select option 1, and speak to the Force Control Room.